Thesis: Emergency communications and logistics. Purpose: Create an independent radio-based network to facilitate communication amongst people and responders. 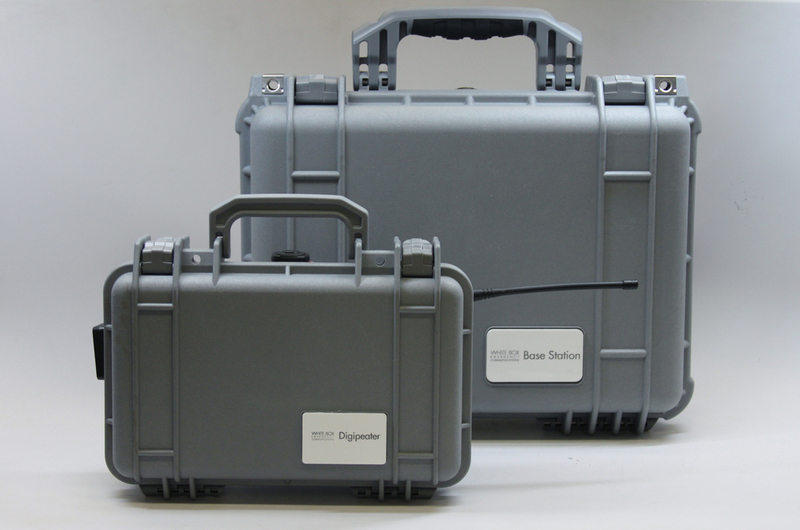 Deployment: The Digipeater can easily be attached to an unmanned aerial vehicle, balloon, or tall structure to broadcast signal. Responders and survivors can connect through a Base Station. Future integrations will allow for desktop and mobile phone access to the network via an app. Overview: Modern communication methods rely heavily on cell phone towers and internet connections, which, during disasters are typically offline or reserved for emergency response and disaster management. How can survivors communicate their location and get the supplies they need? White Box Emergency Communications aims to solve this problem by repurposing an existing protocol, automatic packet reporting system (APRS). It was developed by the amateur radio community for emergency communications. As part of my master's thesis, I created a base station and digital repeater that allows individuals the ability to communicate despite the loss of power, cellular service, and internet. Responders are able to see status updates, view GPS coordinates, and communicate independently with survivors.